I’ve been playing Maplestory for quite some time and let me tell you, it is one of the best MMORPGs out right now. The characters, bosses, and quests are sure to entertain you as much as they’ve entertained millions of players worldwide. If you are like me, you take pride in your character. After all, you’ve spent countless hours developing its skills. Not only do I personally like to deck out my character in awesome clothing, but I also like to buy EXP cards and Gachapon tickets to level faster and gain better items. Mostpeople prefer purchasing items through their item shop, and I do too because it’s very convenient. Plus, there’s better choices of items and gear for your character as opposed to those in-game only. levels fast. Indeed, it can be a frustration to play the game and get stuck for awhile in the same level. 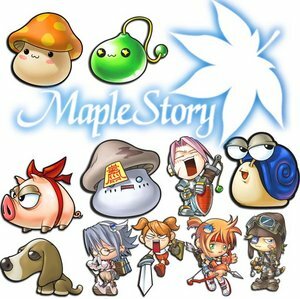 If you are a fan of MapleStory game, here are a few things that might help you move on to the next level fast and enjoy the game even more. If you want to gain experience right from the start, begin by fighting the Orange mushrooms and the Shrooms in the early rounds or while you are in Victoria Island, the Stumps and the Slimes. You can also increase your accuracy in killing your enemies by increasing your LUK and INT if you are a magician, and increasing your DEX if you are a warrior, a thief or a bowman. 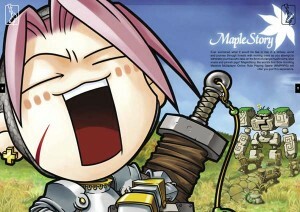 As with real life, making money in MapleStory takes effort, know-how, and a keen eye for opportunistic situations. But don’t despair! By following a few easy tips, you too can be rolling in the mesos in no time! Fight Monsters – The most obvious way to make money in MapleStory is to go out and kill some monsters and pick up the items they drop. Monsters sometimes drop valuable items such as armor and weapons. This will also earn you experience points, which may or may not be beneficial depending on how much your training costs so choose your monsters carefully. Be a Gofer – Go for this, go for that! Making money is often about having a much needed item or skill in an unlikely place. Sure, it is easy to find any item in abundance in the market and with one player undercutting another in order to get make the sale, it can get pretty cheap too. It’s all supply and demand. With a lot of supply there isn’t much demand. But when supply is low the price comes at a premium! Keep this in mind and try to think of situations in which a particular item might be more valuable. You should max Thunderbolt first. It will provide faster training. I personally did Thunderbolt > Cold Beam > Meditation > Teleport > 18 Slow. You could probably change Slow to MP Eater if you prefer that, but keep in mind that Slow is a generally useful bossing skill and it should have some sort of SP investment at the very least by the end of 3rd job. 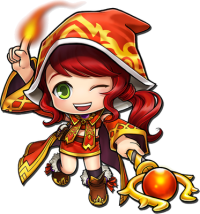 Being new to Maple means that you will need some guidance. In this case, you will raise a future Pirate, meaning that you will need correct stats. As you will see further, the most necessary attributes for this job would be the STR and DEX, INT and LUK can be left at 4 or 5. If you want to build a Gunslinger, it is to consider getting the highest DEX when building this char. Meanwhile, if you try to build an Infighter is up to you to get the most STR at it’s creation. Remember that you need 20 DEX to advance as a Pirate. Being a future Gunslinger will mean you have great accuracy, like an archer, as well as a moderate chance to avoid the monsters’ attacks. Training at a good, slow monster is important, however. Stumps do well in this regard. If you are becoming an Infighter, you may train with stronger creatures like pigs, or mushrooms… however, you’ll still need to train first with slower creatures. Upon arrival at Victoria Island, talk to Olaf and pick your job quest. Take the taxi to Nautilus Port and enter the submarine in the center of town. Walk to the right and enter a door with an “UP” arrow over it. this will take you to the top deck of the ship. Now, walk left and enter the farthest door. Inside is the bridge, where Kairin is located. Talk to Kairin and make the job advancement. For either job, it is important to keep your secondary stat equal to your level. If you intend to be statless, this is obviously not relevant to you. Max the most important skill for your branch as quickly as possible. Brawlers should max Dash and Quick Motion, with Straight and Back Flip Kick at 15/16 as these skills are replaced second job and dash allows greater mobility. Gunslingers should max Double Shot, Dash, and Quick Motion. Double Shot is the most important skill, so max it quickly. For infighters, on the other hand, the basic attack is powerful enough to last while maxing Quick Motion to gain the accuracy needed. Take Kairin’s advice and do the training quests, which mostly involve killing large numbers of pigs, to gain the potions you’ll need to get by. Most Nautilus Port quests are very good experience, so do as many as possible. Pirates use Knuckles and Guns as their primary weapons. Knuckles are melee weapons which enable Pirates to use melee skills to attack monsters; they are only used by the Brawler branch of the Pirate class tree. Guns are ranging weapons which (like claws and bows) require some type of ammunition to use; they are only used by the Gunslinger branch of the Pirate class tree. 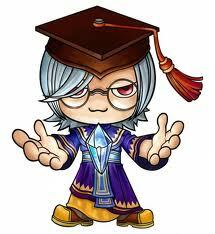 For the Second Job Advancement, return to Kairin (Kyrin) at level 30. When you agree to take the 2nd job test, you will enter a map with a number of conveyor belts and a large number of octopus monsters. You must kill the octopus monsters with Flash Fist when taking the Brawler(Infighter) test and with Double Shot when taking the Gunslinger test. If you can’t hit the octopus with your main attacking skill, you’ll know you’re taking the wrong test! Continually defeat the Octopuses until you have collected all 15 of the items and then return to Kairin (Kyrin). You will depart the training room and be on the Bridge once more. 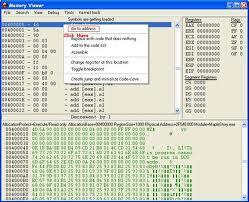 Talk to Kairin (Kyrin) again to complete the job advancement. As a Brawler (Infighter), you will get a very large HP boost when making the advancement, as well as 1 SP. Put this SP into the Maximum HP increase skill, and max it as soon as possible, as the close range needed to hit as an infighter means you’ll be taking a lot of damage, so a high max HP is important. As a Gunslinger, Invisible Shot is a very important skill, so put your first point into that. I’m gonna assume that ME is not lvl dependent and is probably affected by the weapon def of monsters as I have read in other guides. Ah yes, ME is not accuracy dependent. For this guide, I’m using a lvl 30 ME(maxed). With max ME, lower amount of mesos is needed to boom monsters. It is not advisable to use ME at low levels, like lvl 3 of ME because it burn mesos. But, in the end is up to you guys to choose. P.S This is just a rough estimate. The amount stated SHOULD be able to KO monster with 1 ME. If my digits are off somewhere, any fellow c.dits with max ME can correct me. them and ks them since you are a mage.